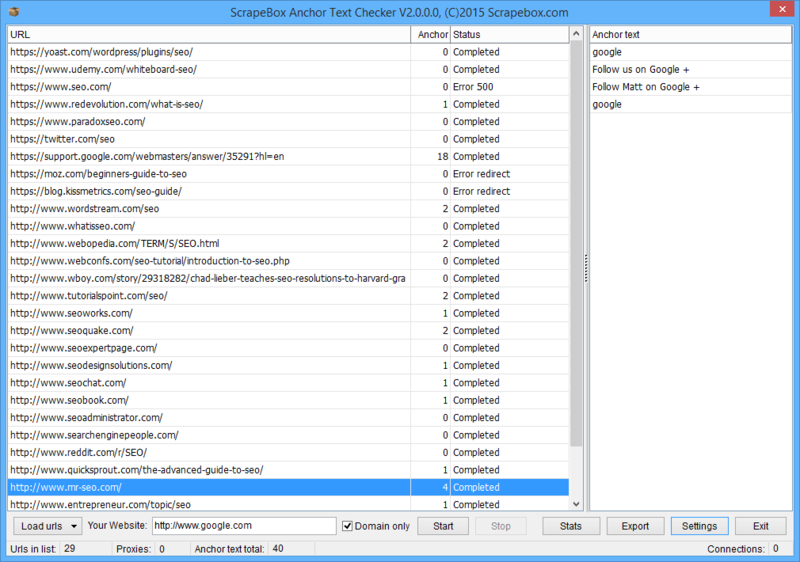 The ScrapeBox Anchor Text Checker allows you to enter your domain and then load a list of URL’s that contain your backlink. It will scan all the URL’s containing your link and extract the anchor text used by the websites that link to you. 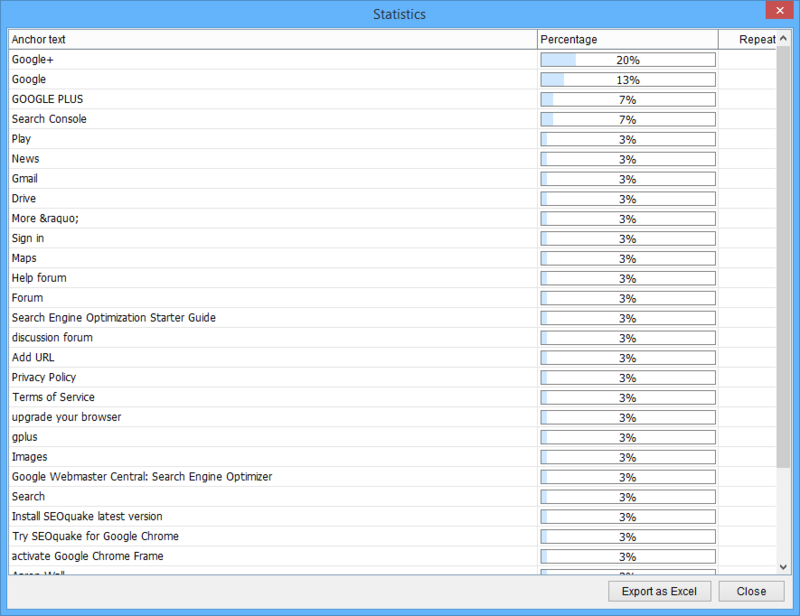 After checking you can view all anchor texts, and see how many occurrences of each specific anchor text and what percentage each anchor text accounts for. View metrics. You can also export a text file containing the website URL and anchor text, or export all stats as an .xlsx file to view in Excel. Additionally you can use proxies, extract anchor texts linked to the specific URL you enter or all anchor texts to your domain. It can also work with URL’s that have multiples links and anchors on the one page, and you can select if you want to treat anchor texts as case sensitive or not. This addon is ideal for checking your anchor text diversity and ensuring you have not overused keywords when link building. This is a great check to run after fetching your backlinks with our Mass Backlink Checker addon. View our video tutorial showing the Anchor Text Checker in action. This is a free addon included with ScrapeBox.